NUR-SULTAN – Matex recently opened the first and only facility in the North Kazakhstan region that manufactures socks. The company represents the economy of simple things in action, as its goods are necessary, in demand and, to date, have almost exclusively been imported. Company director Aramais Ter-Astvatsaturyan, who extensively studied the light industry market, learned only one-tenth of hosiery products in the domestic market are made in the country. He decided to fill the gap. “In fact, making socks is not an easy process. Buying machines is not a problem. The main thing is to understand the technology. I considered buying Italian equipment and met with manufacturers, but it is very difficult for a beginner. I travelled to different factories and got experience in six months. As a result, I decided to purchase Czech equipment. In Soviet times, all factories were equipped with such equipment. These, of course, are modern. The factory has 20 machines,” he said, according to inform.kz. “Everything is important: the number of needles, the quality of the threads and the skills of the employees. Before getting to the counter, the sock goes through several stages. A knit sock is automated. A programme is launched in which all parameters are set: from the size of the sock and its length to a pattern on it,” he added. Ter-Astvatsaturyan creates sketches of future products for programming, noting the need to understand what you draw and how a machine can realise the idea. Each loop must be calculated and the concept adapted within the parameters. Matex has developed 75 models of women’s, men’s and children’s socks and knee-highs. The number of needles affects the density of the product and the company must stay attuned to customer demands. Because thin socks do not sell in the region, 200 needles are not required. “When we discuss 100-percent cotton goods, you need to understand that this does not happen. You won’t be able to put on a sock made of 100-percent cotton. If we are talking about the main thread, it is made of 100-percent cotton. In a sock, cotton thread is 85 percent. The rest are synthetic threads that are used for knitting gum, a polyamide thread for a flashing toe and lycra,” said Ter-Astvatsaturyan. Matex purchases raw materials from Turkey and Uzbekistan. A kilogram of yarn starts at $5. “You can buy cheaper raw materials, but we will not reduce the cost of production. My idea was not to produce socks and get billions. I have always wanted to produce high-quality products that will be in demand by our people,” he noted. The equipment’s capacity makes it possible to manufacture 4,500 pairs per day. Products are sold only in Petropavlovsk so far. One of the problems of light industry is the difficult mechanism of public procurement. Ter-Astvatsaturyan proposed devising a method that would allow all participants to be on equal footing during a meeting with regional deputy akin (governor) Dauren Zhandarbek. Ter-Astvatsaturyan is confident competition should be healthy. In particular, he wants state bodies to require Kazakh content in technical specifications. 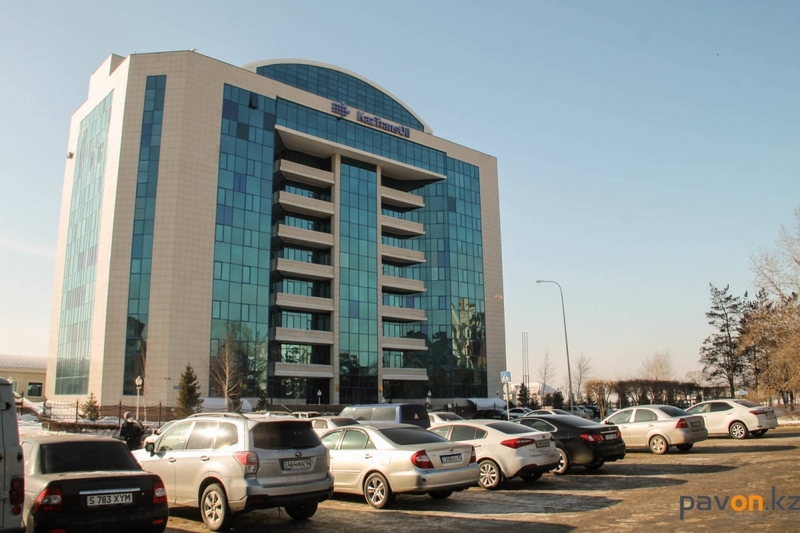 ASTANA – The International Information Technologies University (IITU) in Almaty obtained March 5 international accreditation of the ASIIN (Accreditation Agency for Degree Programmes in Engineering, Informatics, Natural Sciences and Mathematics) for five years. It is the first such accreditation among universities in Kazakhstan. In 2016, to ensure the quality of education, the university applied for institutional accreditation to the ASIIN, Germany. During 2017, the university team analysed its work and prepared a report for the expert committee. The accreditation committee approved the institutional accreditation. “For the first time in the history of universities in Kazakhstan, the IITU received an international institutional accreditation for five years. During two years, the university team prepared a report for the expert committee of the ASIIN. According to the decision of the committee, the IITU became the only institution of higher education in Kazakhstan that received institutional international accreditation,” reported the Kazakh Ministry of Education and Science. According to University Rector Damir Shynybekov, the ASIIN assesses the quality of universities’ activities and recognises its compliance with European standards and criteria. “Accreditation of IITU… means that we create transparent educational programmes and ensure their diversity. We try to be international, comply with international higher education institutions and improve the competitiveness of our graduates in the global labour market,” he said. “The university received the decision from the ASIIN Accreditation Committee, which states that the ASIIN experts confirm that the IITU guarantees fulfilment of institutional, procedural and cultural requirements for good teaching and successful learning. The IITU is constantly progressing and developing in the right direction and currently it demonstrated the fulfilment of all the requirements of the agency. After reviewing the evaluation of the expert committee, the Accreditation Committee came to the following decision: the IITU fulfilled all the requirements and was accredited until Sept. 30, 2023,” said the IITU. 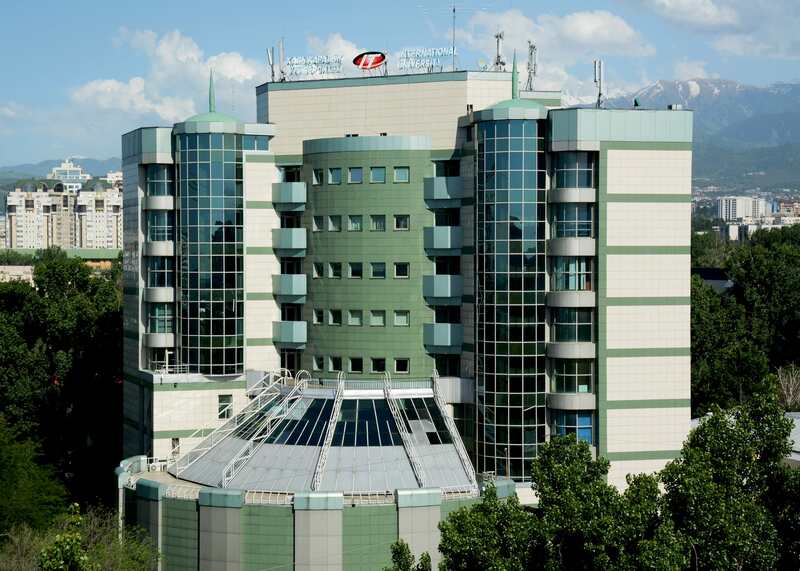 The IITU is an educational institution in Almaty that trains IT specialists. The university was created in 2009 in cooperation with iCarnegie Business School, an affiliate of the Carnegie Mellon University. The Astana Times provides news and information from Kazakhstan and around the world. Kazakhstan’s government and its National Bank announced in a joint statement March 20 that they “will carry out the instructions and announced initiatives of the First President,” referring to former President Nursultan Nazarbayev. State programmes and structural reforms under the umbrella of Strategic Development Plans to 2025 and 2050 will continue, and the government will remain focused on maintaining a stable, predictable fiscal policy geared toward macroeconomic stability. The government and the bank will fulfil all budget commitments and social initiatives and work to prevent unjustified price increases, especially for socially significant goods and services. The National Bank will continue to pursue a predictable monetary policy aimed at maintaining low inflation. National Bank analysts expect Kazakhstan’s economy to grow at a minimum level of 3.8 percent with inflation in the range of 4 to 6 percent. 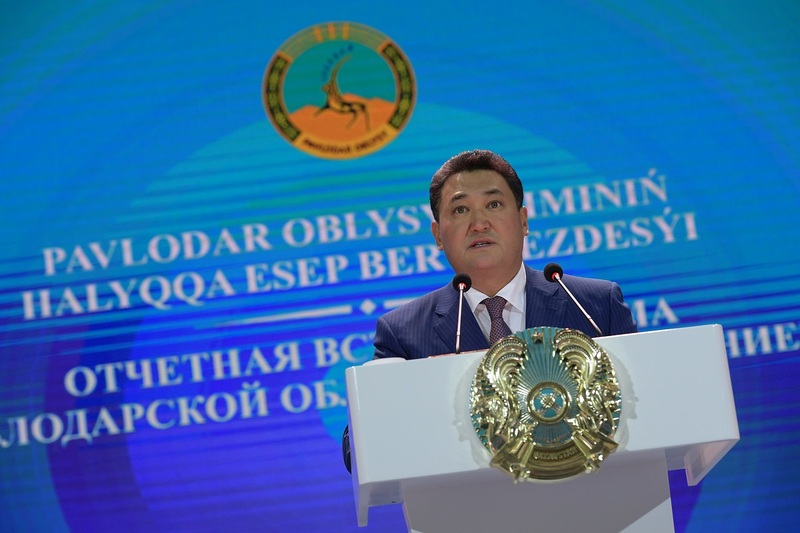 Preliminary data for 2018 shows that domestic tourism grew 5 percent, said Kazakh Tourism Company Chair Rashid Kuzembayev. In the first three quarters of 2018, outbound tourism grew 4 percent year on year to 8.2 million tourists, entry tourism grew 16.6 percent to 6.8 million people and internal tourism grew 5.8 percent to 4.6 million tourists. Inbound tourism increased 10.2 percent compared to 2017, and approximately 8.5 million people visited Kazakhstan in the period. Arrivals increased from the company’s target countries, among them the United Arab Emirates (a 50 percent increase), India (49 percent), Malaysia (44 percent), Hong Kong (22 percent) and Poland (16 percent). Kazakh Tourism will introduce a separate sectoral state programme for the development of tourism in the next three to four months. The prices of an average Kazakh preschool institution’s services decreased 0.5 percent to 810 tenge (US$2.10) per visit as of March. Almaty kindergartens for low-income and large families have been free since spring. The Almaty akimat (city administration) runs the Bakytty Otbasy (“Happy Family”) programme, which makes kindergarten free for 350 children. Currently, 710 children from large families are enrolled in preschool education in the city, while an electronic queue indicates that there are 1,717 more children in the category. In the fourth quarter of last year, preschool education services and training totalled 82.7 billion tenge (US$218.51 million), an increase of 14.2 percent in 2018. The national budget covers 75.4 percent of services that preschool educational organisations offer. The average monthly wage in Kazakhstan reached 176,100 tenge (US$465.30) in the fourth quarter of 2018, which is 7.5 percent more than in the same period in 2017. Wage growth overtook inflation, and the purchasing power of the population increased 2.2 percent in 2018. The salary fund, the money that enterprises transfer to banks for the payment of salaries, reached 1.88 trillion tenge (US$4.97 billion) in the fourth quarter of last year, 8.5 percent more than in 2017. The deposit volume of legal entities, which includes salary funds, increased 1.6 percent in January to 8.4 trillion tenge (US$22.19 billion). Unrefined sunflower oil production increased 10.8 percent in January to 12,800 tonnes. Refined oil production, in contrast, fell by 29.5 percent to 7,300 tonnes. Most of Kazakhstan’s sunflower oil production is done in the East Kazakhstan region, which produced 82.4 percent of the country’s total unrefined oil and 71.5 percent of the refined. This year, it produced 10,500 tonnes of unrefined oil, an 11.8 percent increase since last year, and 5,200 tonnes of refined oil, a 21.7 percent decrease. The region’s biggest oil producer, the Sei-Nar Production Complex, sends over 60 percent of its production to China, Uzbekistan and Tajikistan. The company produces meal, cake and other processed products as well. The KazakhExport insurance company has given Sei-Nar a 2 billion tenge (US$5.28 million) insurance protection on a bank loan to purchase sunflower for its production and export. The post Economic News in Brief appeared first on The Astana Times. ASTANA – Kazakhstan recorded a record high wheat harvest in 2018 and exported 4.9 million tonnes of wheat. The country plans to export 2.2 million tonnes of wheat this year, opening new countries for export. “Today, we have 10.5 million tonnes of grain, of which 3.7 million tonnes is kept at grain-receiving enterprises, 462,000 tonnes at flour-grinding enterprises and 6.3 million tonnes at farms. We have 8.3 million tonnes of wheat, including 690,000 tonnes we need for food needs, 1.6 million tonnes we need for seed needs, 128,000 tonnes for industrial processing. And we plan to export about 2.2 million tonnes,” Minister of Agriculture Saparkhan Omarov said at a recent governmental press conference. According to his calculations, the carry-over balance will be 2.9 million tonnes. “Therefore, it would be wrong to say that there is a shortage of grain among processing enterprises,” the minister highlighted. Vice Minister of Agriculture Gulmira Issayeva said that last year 11.7 million tonnes of grain crops were exported. “Of these, wheat was 4.9 million tonnes. The rest is the export of barley and other crops,” she said. This year, Kazakhstan plans to start exporting wheat to Georgia and Iran and increasing exports to China to 1 million tonnes. “The Central Asian region and Afghanistan are traditional markets. Now we also have China becoming a traditional market. In January, we signed a memorandum on wheat supply with Iran – Iran has been closed for us for the last three years. We are also working on Georgia. Earlier, we were actively presented there, then we reduced it to a minimum. Now we want to restore volumes back. Thus, we are working to restore our positions where we were previously present and open new markets,” said Issayeva. According to her, Kazakhstan has significantly increased exports of grain and flour over the last year to the Chinese market. The vice minister said that there are requests from Iran. “Iran now has processing capacities of 25 million tonnes. This country produces 12-12.5 million tonnes. Accordingly, their businesses have turned to the Iranian government to allow them to import Kazakh and Russian wheat. Iranians are interested in processing our grain and further re-exporting flour and other products to the markets of neighbouring countries. That is, we are only required to produce high-quality grain, supply them, and then the Iranian millers will further process and sell some of the flour in the domestic market, but another part to be exported to third countries,” she explained. “We have a stable 8-9 million tonnes per year – this is our potential. And when we collect a record high harvest, and we had a very good one last year – we collected 22.8 million tonnes, then we allow ourselves to send the excess for export. Therefore, it turned out that last year we exported 11.7 million tonnes of grain crops,” she said. ASTANA – The Kazakh grain market has seen positive growth in the past year. The volume reached 10.5 million tonnes, sufficient to meet the country’s domestic demand and satisfy export needs, said Minister of Agriculture Saparkhan Omarov at a March 15 press conference. Saparkhan Omarov. Photo credit: primeminister.kz. Approximately 3.7 million tonnes are stored at licensed grain collecting facilities, 462,000 tonnes at mills and 6.3 million tonnes are held by agriculture producers. The region has witnessed an increase both in price and product demand. “One of the factors driving these processes was a decrease in last year’s harvest in Russia by 20 percent over the previous year. The price per tonne of third-class grain reached 75,000 tenge (US$197.76). This is, of course, good for agricultural producers. Due to high prices, many producers were able to pay debts and allocate funds for spring field works,” said Omarov. “The last two weeks, we have seen a decline in grain prices in domestic and export markets. As a result, the price for a tonne of third-class grain fell to 65,000 (US$171.40)-67,000 tenge (US$176.67) depending on its quality,” he added. The price dynamics are shown in auction results recorded by the grain receipt holders’ electronic state registry. The system enables online monitoring of current grain volumes at the country’s grain collecting facilities and keeps track of all operations with grain receipts to ensure transparency and minimise the risk of forged receipts. “The current volume is enough to meet the planned export indicators and ensure domestic demand, which is currently 8.3 million [tonnes]. Of those, 690,000 are for food needs, 1.6 million to be used as seeds, 730,000 for feed conveyor and 128,000 for industry processing,” said Omarov. Kazakhstan expects to export 2.2 million tonnes through the end of the marketing year, with 6.7 million tonnes already shipped. Afghanistan, China and Uzbekistan are among the main importers of Kazakh wheat. The country is also working to open new markets, such as Bangladesh, Finland and Israel. Last year, Kazakhstan exported grain for the first time to Egypt, Latvia, Norway, Spain, Tunisia and Ukraine. “As a result, 2.9 million tonnes remain as a carryover. As an example, based on scientific data on bread consumption by one person [62.96 kilograms a year per person], it takes approximately 95,000 tonnes of grain per month for the entire population of Kazakhstan. This carryover balance will be enough to meet the demand for the next two and a half years, while a bit more than five months are left until next harvest,” said Omarov. He noted the ministry is monitoring prices to prevent hikes for socially significant products, including grain. “Regional stabilisation funds are working, where some types of products are purchased for subsequent supply. Financial resources for formation of stabilisation funds are currently 3.1 billion tenge (US$8.17 million),” he added. ASTANA – Rakhat Confectionery recorded positive growth in all key indicators last year, increasing revenue, profitability and market share, according to the company’s Feb. 26 press release. Income grew by 4.8 percent compared to 2017, with revenue of 59.171 million tenge (US$158 million). Market share grew 2 percent and reached 20.5 percent in the main categories. Profitability also increased, as the 8.758-million tenge (US$23 million) operating profit grew 9.1 percent compared to the previous year. The average price for chocolate increased 3 percent in tenge and fell 4.3 percent in dollars. “The last year was important for the company because we managed to maintain a stable growth phase due to our traditional quality in all categories. We launched a new chocolate production line and made changes in approaches to work with retail. We monitor market trends and analyse the activities of other players in the market. We aim to maintain growth trends and increase competitive advantages in 2019,” said Rakhat Chairperson of the Board Konstantin Fedorets. The Almaty-based plant produced a new chocolate line last year which allowed Rakhat to meet increased demand by the start of the season. The company also launched new products in the Pepero line from South Korea. The imported products demonstrated double growth last year. Rakhat has expanded its retail presence by opening five new stores in the capital, Almaty and Shymkent. Export growth was 4.5 percent among countries beyond the Customs Union compared to a 2.2-percent decrease in member countries. “We are proud that our chocolate brand is popular. The annual increase in market share is 6 percent despite a decrease in this category as a whole. 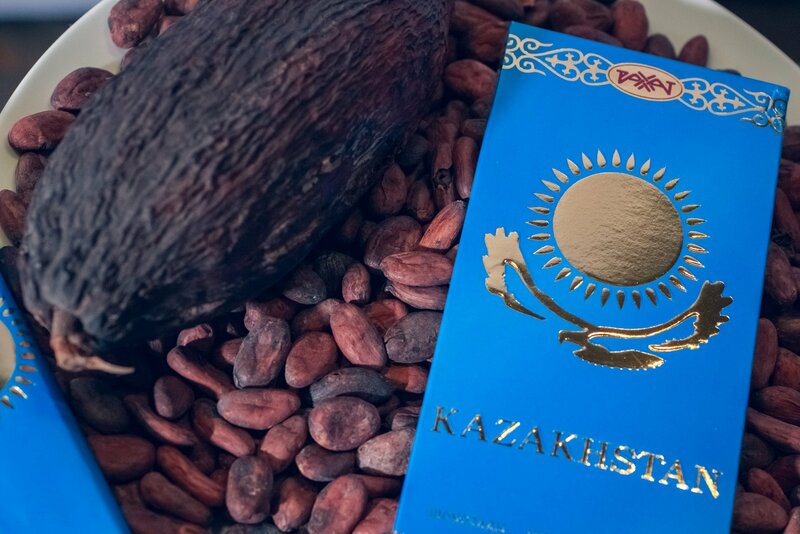 Kazakh consumers choose quality and prefer to buy our chocolate, bringing us closer to market leadership in this category,” noted the release. Rakhat, with a 75-year history, is one of Kazakhstan’s largest manufacturers of confectionery products. The company, which also has production facilities in Shymkent, has 4,500 employees. Its portfolio includes more than 400 confectionery products of 14 different groups. Rakhat manufactures diabetes care products including chocolate, candy, cookies and waffles with reduced calorie content and sugar alternative. Lotte Confectionery acquired the majority stake of the company in 2013, increasing its share to 92.44 percent in 2015. 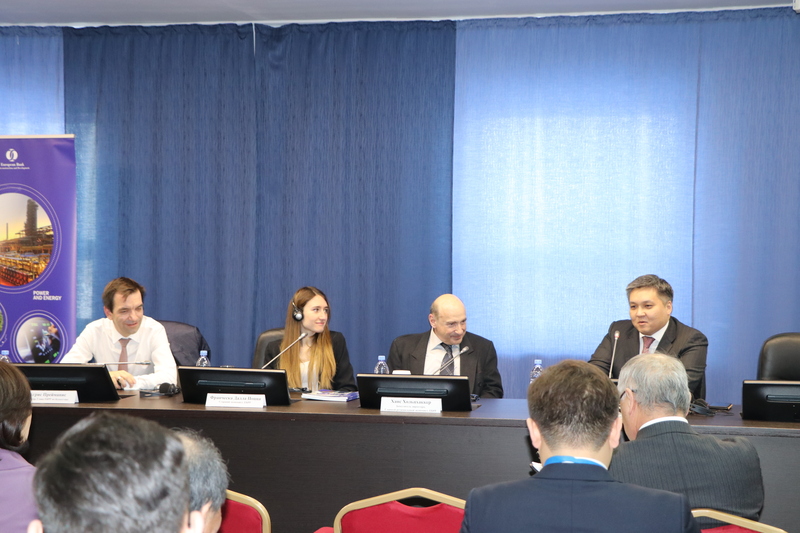 ASTANA – The regional administration of Pavlodar will open an “Investor’s House” to operate as a one-stop shop for potential investors by the end of the year, Pavlodar Region Akim (Governor) Bulat Bakauov announced at a Feb. 15 meeting with regional residents. The Investor’s House will provide potential investors with the full range of project support and services, all accessible in one location. Services will be facilitated through the 10 government agencies that will also set up offices in the building. 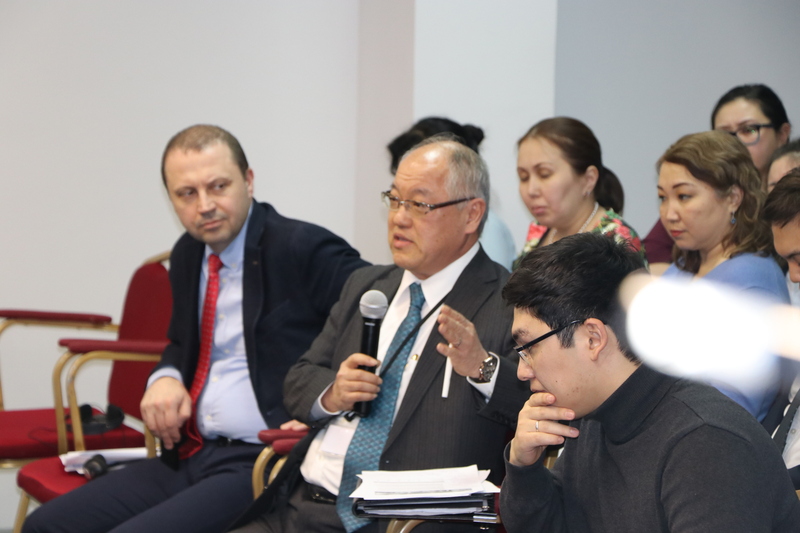 Regional authorities looked to the examples of South Korea, Japan and Georgia in developing Pavlodar’s Investor’s House. The Investor’s House will “improve the availability and openness of government agencies, as well as the development of a system for obtaining public services in one place,” Bakauov said. The house will be located at 5B Victory Square in the building that once held KazTransOil’s branch office. Investment in the region’s fixed assets exceeded 473 billion tenge (US$1.25 billion) at the end of 2018. “The fact that about 100 billion tenge (US$265.20 million) is an investment of small and medium-sized enterprises brings special satisfaction,” Bakauov said. Pavlodar Region Akim (Governor) Bulat Bakauov. Photo credit: pavlodar.gov.kz. The region has approximately 44,000 operating businesses that employ more than 131,000 people or 32 percent of the economically active population. These businesses generate tax revenue of nearly 63 billion tenge (US$167.2 million) per year. State programmes also support business development. Last year, the Business Roadmap programme provided 2.6 billion tenge (US$6.89 million) in support for 450 regional business entities. Another social initiative and productive employment programme increased funding of the state microcredit system by 1.5 times. This gave 450 start-ups opportunities to realise their ideas. The vast majority – 91 percent of the businesses – are operated by rural residents. The regional economy should also improve with the new tax amnesty for small and medium-sized businesses that Kazakh President Nursultan Nazarbayev, in his state-of-the-nation address, suggested launching this year. Being able to write off their debt interest will help more than 3,000 entrepreneurs in the Pavlodar region get a fresh start. To date, their collective debt to the budget totals 18.4 billion tenge (US$48.8 million). ASTANA – The European Bank for Reconstruction and Development (EBRD) Transition Report forecasts steady growth for the Kazakh economy, as major structural reforms are expected to improve the situation further. L-R: EBRD for Kazakhstan Director Agris Preimanis, EBRD Associate Economist Francesca Dalla Pozza, EBRD Associate Director and Lead Regional Economist Hans Holzhacker and Economic Research Institute Chairman Yerlik Karazhan. “Kazakhstan’s real GDP grew 4 percent in 2017 and a little bit more in 2018. This has been driven since 2017 primarily by exports and a recovery in private consumption has started to be a driver of GDP growth since 2018,” said EBRD Associate Director and Lead Regional Economist Hans Holzhacker at the Feb. 27 presentation. Private consumption has been a growth driver largely because real incomes finally started to improve last year. The solid growth, however, was neither driven nor accompanied by credit expansion, credit growth or the banking system as a whole. “There are several social initiatives starting from affordable housing initiatives to a recent announcement by the finance minister that there will be more money for new families. This applies even to industrial policy. An announcement noted that 500 billion tenge (US$1.3 billion) will be dedicated to export support and 600 billion tenge (US$1.6 billion) to industry support. The Kazakh President said that there will be money from the National Fund to finance social projects. I think the focus will have to shift to structural reforms to achieve higher growth and the focus will shift on modernisation and structural change,” said Holzhacker. The Strategic Plan 2025 includes reforms in the key areas – human capital, technological innovation, promoting competitiveness, strengthening the rule of law, regional development and urbanisation and increased efficiency in public administration. 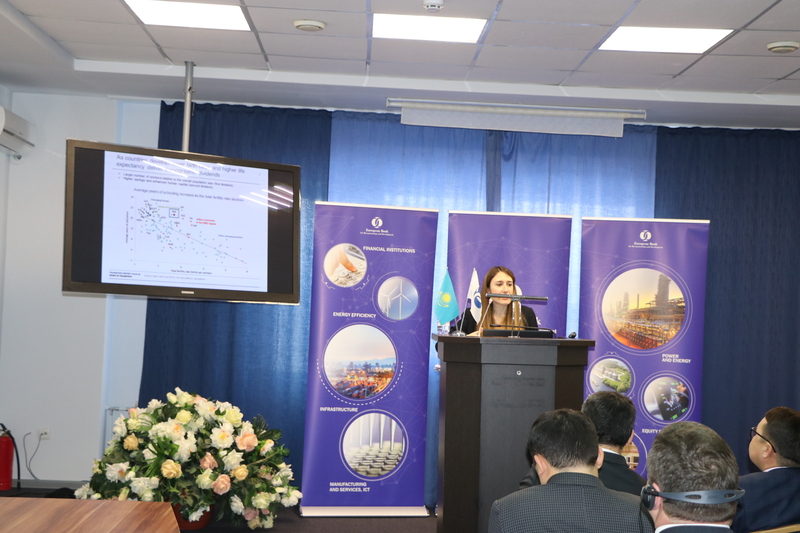 “According to the EBRD assessment on the transition towards a developed market economy, Kazakhstan scores pretty well in comparison to all countries of the operation of the EBRD. However, there is still more that can be done in integrated connectivity, as well as in green economy. The EBRD is supporting a lot in this direction of the activities of Kazakhstan,” he added. EBRD Associate Economist Francesca Dalla Pozza. EBRD Associate Economist Francesca Dalla Pozza spoke about the transition report, which focuses on work transformation. It includes issues of demographic change, job automation and worker migration across and within national borders; looking at how the interplay between demographic shifts, technology and migration can help to shape economic growth and the future of work, both across the EBRD regions and around the world. In the young economies of Azerbaijan, Turkey, Central Asia and the southern and eastern Mediterranean, the report indicates the main challenge is to create a continuous stream of high-quality jobs for the many new entrants into the labour market. Investing in transport infrastructure has the potential to deliver long-term benefits, said Dalla Pozza. “We chose the Belt and Road Initiative as an example. The Belt and Road projects comprise a set of additional investments across Europe and Asia that may or may not take place. If the ambitious programme is completed, a lot of countries that are affected by the programme will actually stand to benefit in terms of real GDP per capita and well being. Kazakhstan is also on the list. The real GDP per capita will increase by 4.5 percent by 2040. This is a sizeable effect,” she noted. ASTANA – Kazakhstan expects to export nine million tonnes of grain and flour this year, including increased shipments of domestic wheat to China, one of the world’s largest markets. The country delivered 307,000 tonnes of wheat to China in 2017 and almost two times more – 560,000 tonnes – last year. Experts believe that in 2020, the amount will increase to one million tonnes. “Kazakh wheat is in great demand in China and it goes to different provinces of the country, but most Kazakh products remain in northwestern China,” said Food and Agreement Corporation representative Timur Mendigaliev, reported Kazakh TV. “Export of Kazakh flour to China is increasing, as Kazakh flour is a natural product. Meanwhile, Georgia is among those who want to get Kazakhstan’s wheat. The country intends to purchase a fairly large amount of domestic grain,” he added. China imports products from many countries and those grown in Kazakhstan are among the favourites, said Chinese People’s University expert Bian Yunzzu. “Your grain is better both in quality and taste. Today, the Akmola, Kostanai and North Kazakhstan regions export wheat to China. In addition, this year barley and maize are among the exported crops to the country,” he noted. Afghanistan and Uzbekistan, which buy more than 50 percent of the exported volume, are the main importers of Kazakh wheat, according to Agriculture Management Senior Specialist Nursultan Kabdelov. Kazakhstan is opening new markets, such as Bangladesh, Finland and Israel, and exported grain for the first time last year to countries such as Egypt, Latvia, Norway, Spain, Tunisia and Ukraine. “Kazakh wheat is freely transported to the countries of the Southeast Asian region. For example, last year 30,000 tonnes of grain were delivered to Vietnam and today, the relevant departments are actively working to increase the volume of quotas for Kazakh wheat,” said Mendigaliev. “We have good relations with Kazakhstan and we are actively negotiating to increase supplies of Kazakh wheat. Over the past three months, 40,000 tonnes have been delivered. This is miniscule and it would be very good for us to increase the figures,” said Levan Silagava, head of the Georgian Association of Grain and Bakery Producers.